This candy tray is perfect for my chocolate covered strawberries!!! 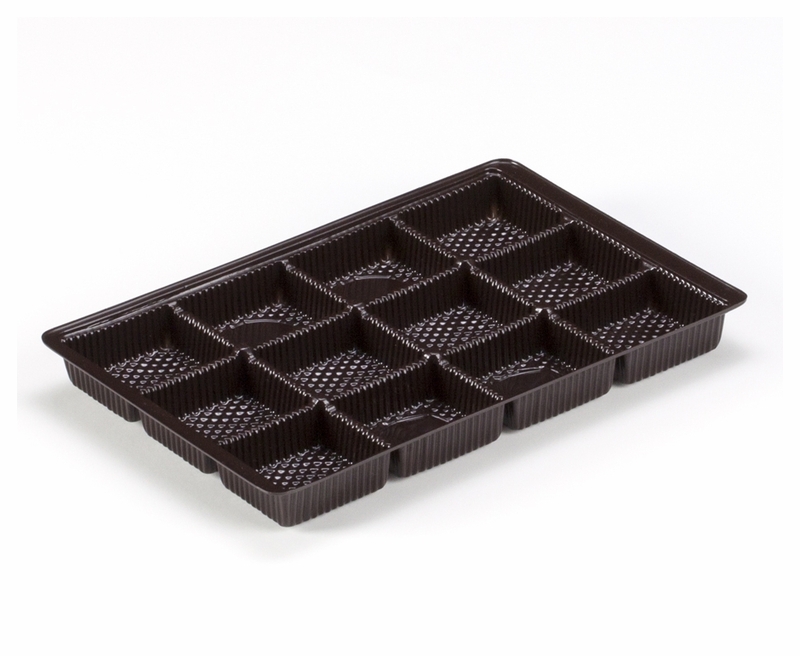 This tray fits perfectly into the box which holds six Oreo cookies, but the 12 cavity option gives the box more uses. 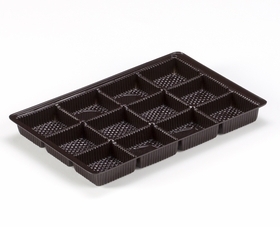 I use this for small cookies and candies, and they nest nicely into the cavities. Can this product be used for chocolate covered strawberries? Hi Yolanda, It depends on the size of your strawberries. Each cavity dimension is 1 15/16" by 1 5/8". If your strawberries are larger than that you could try tray item 3440. You can try some samples to see which works best for you. Just click the 'Get Samples' button found on the left side of our webpage. what is the dimension of each cell of the candy tray? Hi Anna, The dimension of each cell is 1 15/16" x 1 5/8".